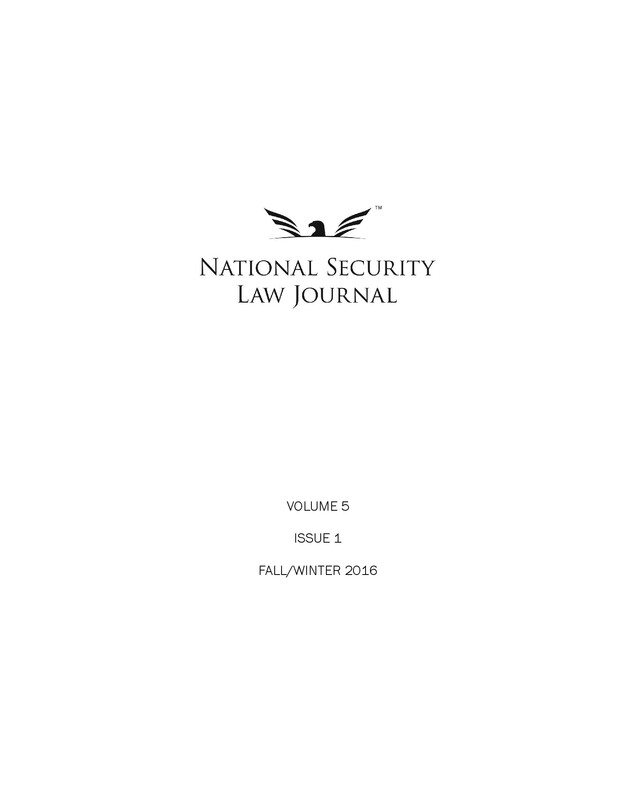 Combat drones, ITAR exemptions, nonjudicial punishment in the military, federal law enforcement support to states in emergencies, and two book reviews — all in our new fall/winter issue, out now! Our long-awaited fall/winter issue is here! You can now access the digital version online. Heeyong Daniel Jang, The Lawfulness of and Case for Combat Drones in the Fight Against Terrorism, 2 Nat’l Sec. L.J. 1 (2013). Clinton Long, An Imperfect Balance: ITAR Exemptions, National Security, and U.S. Competitiveness, 2 Nat’l Sec. L.J. 43 (2013). Genevieve Lester, Symbolism and Security: The Politics of Post-9/11 Intelligence Reform, 2 Nat’l Sec. L.J. 65 (2013) (book review). A review of Blinking Red: Crisis and Compromise in American Intelligence After 9/11 by Michael Allen. Amit Kumar, Counter-Threat Finance and National Security: Treasury’s Inimitable and Indispensable Role, 2 Nat’l Sec. L.J. 72 (2013) (book review). A review of Treasury’s War: The Unleashing of a New Era of Financial Warfare by Juan C. Zarate. Katherine Gorski, Nonjudicial Punishment in the Military: Why a Lower Burden of Proof Across All Branches is Unnecessary, 2 Nat’l Sec. L.J. 83 (2013). Alexander J. Yesnik, Taking Confusion Out of Crisis: Making Sense of the Legal Framework for Federal Agencies to Provide Law Enforcement Support to State and Local Governments in Emergencies, 2 Nat’l Sec. L.J. 111 (2013).